Direct Sales Marketing | 8x8, Inc.
Having something to sell — product or service — is one thing. But getting people to pay for what you have to offer is an entirely different story. Many of your prospective customers don't know anything about your solution. You need to inform them about it, and that's basically what marketing is all about. There is no one-size-fits-all marketing method or channel. Marketing requires creativity and an understanding of a target audience to inform in a way that leads to business. Direct sales marketing is one way to do this successfully. What Is Direct Sales Marketing? Direct sales marketing involves promoting and selling products and services directly to the end consumer. The middlemen or such entities are completely eliminated from interactions between the seller and buyer. Traditionally, this model involves face-to-face selling, where a company employs someone to close sales with individuals or small groups of people. Technology has made all the difference with this method. Instead of seeking the services of subcontractors, businesses can reach out directly to prospects and make sales. Phones and the Internet have made it much easier to reach out to prospects in large numbers. If you're selling via the Internet, you have to do things like setting up a social media account and website, creating an email marketing plan, and running some ads. This constitutes a marketing sales funnel that will enable you to turn prospective customers into actual consumers paying for your goods and services. Some direct sales marketing reach a very limited audience. For instance, with email, you can only reach those who've subscribed to your updates. The bottom line here, though, is that you'll still need a couple of people for both the online and offline operations to be in contact with both customers and prospects. 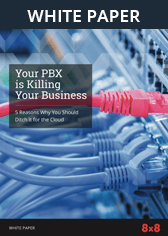 That's why you need a communications solutions provider like 8×8 that offers cloud-based communications like Voice over Internet Protocol (VoIP), Contact Center as a Service (Caas), and Unified Communications as a Service (UCaaS). Real-time sales management: You get a closer, more clear view of the whole process as it happens, rather than waiting until the end of a period. Simplification of the sales process: Your team will have enough time to engage with customers since administration needs are already taken care of. Boost team efficiency: Data from successful sales reps readily available, which can be used to train less than stellar performers and new recruits. Easily spot the best working strategies and capitalize on them: You are able to see the best performing interactions between your team and customers, allowing you to use these observations for the future to get better results. Absolute precision in sales data: Every detail is available across individual employees, teams, and accounts, so you can identify problems easily. Speed reporting and analysis: Get reports with call details and opportunities with extensive dashboards. Gather insight easily: Get to know what your customers want from surveys, follow-ups, and feedback. The information is fast, scalable, and facilitates better decision-making. Reach large numbers of prospects: Get better results for specific accounts, events, or lists. Qualify leads quickly: Following campaigns and events, embrace telemarketing, and measure the effectiveness of your marketing efforts.